Silhouetted by the sun. 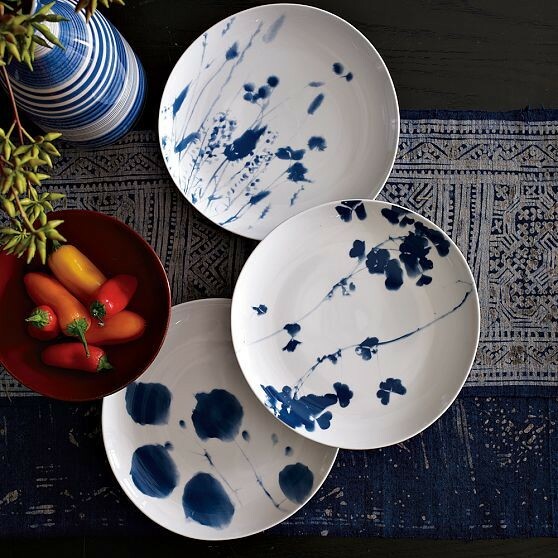 Printed on west elm’s Organic Shaped Dinnerware, these three inky-blue botanicals—Bay Leaves, Clovers and Wild Grass—are based on natural sun prints made by a west elm designer in her own backyard last summer. Porcelain; white with blue print. Available in three different prints; bay leaves, clovers and wild grass.